This Lagoon 380, built in 2014 is an excellent choice for those wishing to experience a new sense of freedom in style and comfort. Wake up to the sound of the sea in one of the Lagoon 380’s 4 spacious and modern cabins. Sleeping up to 10 people, this catamaran is perfect for sailing with friends and family. 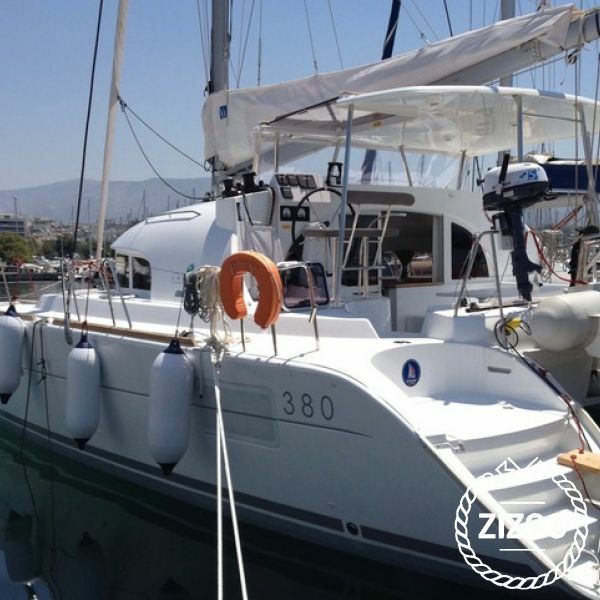 The Lagoon 380 is located in Alimos Marina, Alimos, a convenient start point for exploring Greece by boat. Happy sailing. Ein traumschöner Katamaran! Wer sich etwas Luxus auf dem Wasser gönnen will, sollte diesen Lagoon chartern.